Stevia is one of the thousand-year-old plants of South America that is utilized by the indigenous or native people for an endless number of useful purposes. 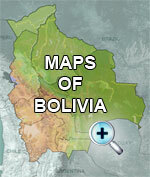 Its recent rediscovery in South America is due to a new awareness of health from food. It is a completely different sweetener and much more effective than others on the market. It is recommended for diabetics because of its effect to restore the pancreatic beta cells. It also has an anti-hyperglycemic potential for people with diabetes type 2. 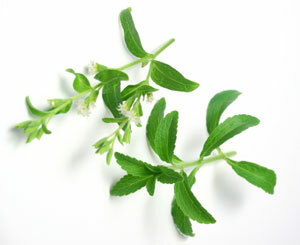 Among its properties, stevia reduces the absorption of carbohydrates in the intestine, acting as a natural weight reducer. It also eliminates toxins with its diuretic properties, and its antacid characteristics aid in digestion. It would seem that we have discovered a famous panacea or the philosopher’s stone, but there are still more surprises from this miraculous plant. It acts as a hyoptensive agent (regulates blood pressure), reinforces the cardiovascular system and fights anxiety with its cardiotonic properties that relax the nervous system and control stress. Above all, it is effective in controlling growth of bacteria and other infectious organisms that cause cavities. It frequently relieves rheumatic pain. So, not only can it sweeten coffee, tea, cakes and pastries, but it also takes care of your teeth, relaxes your nervous system, cleans toxins from your body, keeps you slim and helps the pancreas to function. This miraculous plant is the basis for a concentrated product that can be purchased at Caserita.com. Quinoa is a cereal from the Altiplano that is famous for its nutritional properties.